Every day, this country comes up with incidents that shock you, surprise you, sadden you and make you question humanity. Today is another day where you will come across one of such incidents that you might have never heard of before, or could have even imagined in your wildest imagination. Police in Quetta lodged a case against a 2 and a half-year-old toddler. Yes, you heard it right. This is just the beginning of the shock. Let us tell you about the case that is being filed against him. The case is, firing on a police van by a 2.5 years old. Interesting. A case against a 2 and a half-year-old? Check out this video! Yes, there has been a case registered against a toddler and there have been raids in order to capture him. The case against him was harming a police van using a gun. Now, can you imagine a 2-year-old doing this? And now further imagine that kid doing this at a police van in broad daylight. Now, imagine unicorns playing cricket. None of this makes sense? EXACTLY. There has been an arrest warrant issued for a toddler and in the FIR registered against him has been charged with 9 provisions. Really makes no sense to us but that is how it is and there have been 3 raids for his arrest. So what exactly is it that led to this blunder? 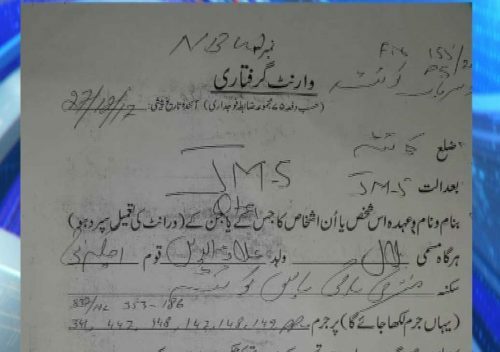 FIR against the wrong person. So it is obvious that there must have been a mistake in lodging an FIR against the right person. And due to someone’s incompetence, it has been filed against a toddler. But Bilal’s father said that it was impossible for a kid to do this at a police van. And he asked DIG Quetta for help. The toddler’s father also showed concerned that this incident might have put Bilal’s future in risk now that he has a case against him that labeled him as a terrorist. Now it has been cleared that obviously police are looking after the wrong guy and that little kid, in no way, must have done this on a police van. Police systems should become more efficient and the competency of every police department is in question after this incident. 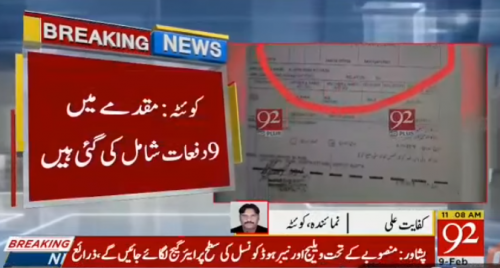 We really hope that this incident gives Quetta police and police all over Pakistan to rectify their mistakes and not commit such blunders in the future as it might jeopardize an innocent’s future.